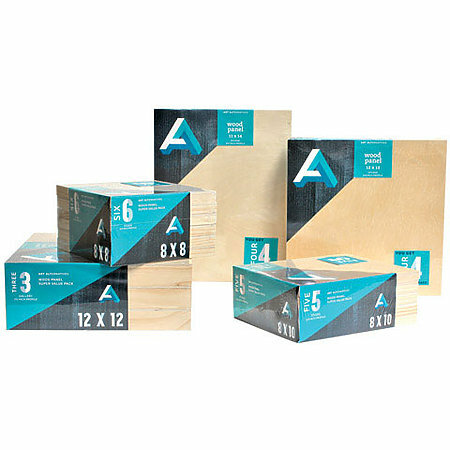 These value-priced, super value packs of cradled wood panels are great for painting, especially thick, heavy applications and palette knife work, as well as encaustic, mixed media and craft use as a shadow box, frame or tray. The 4mm hand-sanded birch wood surface is smooth for detailed work and mounting, while the sturdy pine cradle adds support and allows for hanging without a frame. Available in two profile depths: Studio panels have a 3/4" deep profile and Gallery panels have a 1-1/2" deep profile. The number of panels per pack varies by size.